Cape Town - South Africa’s forecast of higher debt and wider fiscal deficits over the next three years raises the risk of further credit-ratings downgrades as a battle for control of the ruling party limits policy choices. 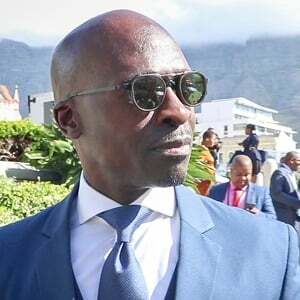 Finance Minister Malusi Gigaba painted a bleak picture of the state of the country’s finances in his first mid-term budget on Wednesday, with growth and revenue set to fall well short of projections made in February. He warned there was little scope to raise taxes or cut spending. The rand fell to the weakest level this year and bond yields surged. The deteriorating debt trajectory threatens to trigger a downgrade of the country’s local-currency debt rating to junk by S&P Global Ratings and Moody’s Investors Service, which could spur massive capital outflows. S&P and Fitch stripped South Africa of its investment-grade foreign-currency assessment in April, citing concerns about policy uncertainty and lacklustre growth, just days after Gigaba replaced Pravin Gordhan as finance minister. Gigaba and his team spoke to ratings companies on the phone on Wednesday after the budget speech and will meet with the firms next week, Deputy Finance Minister Sfiso Buthelezi said. The fiscal forecasts are a “worst-case scenario” and revenue options are being considered, he said. Zuzana Brixiova, lead sovereign analyst for South Africa at Moody’s Investors Service, was not immediately able to respond to an email requesting comment. Fitch’s spokesperson Peter Fitzpatrick didn’t immediately respond to an email and Gardner Rusike, sovereign analyst at S&P, didn’t respond to an email seeking comment. The rand weakened 2.5% to R14.1034 against the dollar as of 19:52 in Johannesburg, after earlier slumping to the lowest value this year. The yield on benchmark government bonds due December 2026 jumped 31 basis points to 9.16%. Efforts to put Africa’s most-industrialised economy back on track have been hamstrung as leaders of the ruling African National Congress wrangle over who will replace President Jacob Zuma as party leader in December. Zuma’s implication in a succession of scandals, including allegations that he allowed members of the wealthy Gupta family, who are in business with his son, to loot billions of rand from state companies have further dented investor confidence. Zuma and the Guptas deny wrongdoing. The Treasury expects the economy to expand 0.7% this year, down from 1.3% predicted in the February budget, and trimmed its growth forecasts for the next three years. Tax revenue for this fiscal year will fall R50.8bn short of the initial forecast. Lower growth and revenue will feed through to a higher budget deficit. The gap is expected to jump to 4.3% of gross domestic product in the current fiscal year, up from a projected 3.1%. The shortfall will probably stay at 3.9% of GDP for the next three years. That’s a break from the Treasury’s past pledges to steadily narrow the deficit. “Fiscal consolidation plans seem to have been largely abandoned,” Jeffrey Schultz, an economist at BNP Paribas in Johannesburg, said by phone. Gross government debt is projected to mount to about 60% of GDP by 2021. The government intends dipping into its contingency reserves and selling part of its stake in telecommunications company Telkom to help plug the budget gap and avoid a breach of its expenditure ceiling. Other steps to curb spending and bolster revenue will be announced in next year’s budget. Meanwhile, a team of cabinet ministers reporting to the president has been set up to find ways to stabilise debt, narrow the deficit, stimulate growth and build investor confidence over the next few years. Measures under consideration include further asset sales and reducing state companies’ reliance on government debt guarantees. * Visit our Mini Budget Special Issue for all the news, views and analysis. 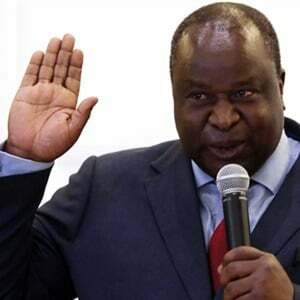 Finance Minister Tito Mboweni's biggest task will be to give assurance to not only the investor community and the markets, but to South Africans, the taxpayers.